Buying beauty products online has become a whopping great big hole in my purse but a pursuit I adore nonetheless. (They should make it a sport. I'd enter. I'd be great.) 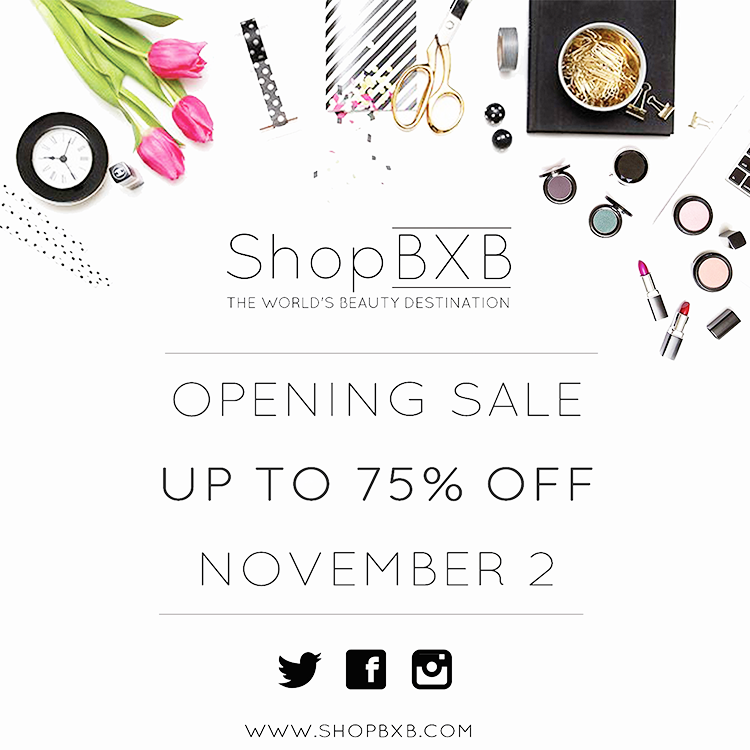 I was recently approached by the guys at ShopBXB regarding their exciting, new venture..
ShopBXB are a yet-to-launch online beauty destination that has the potential to be the next Sephora and the like (Yes, it's that big a deal). Everything from makeup, skincare, hair, fragrance, it's all going to be available in a one stop shop, with over 35,000 products from more than 800 brands. I got to have a sneaky peek before the launch and 'found' (aka mentally have already bought) A&F Fitch, products from By Terry, Becca, NARS, Korean brands (so I may well have to add them to my Definitive Shopping Guide for Korean Beauty! ), american brands, parisian brands, drugstore bargains, high end beauties, old favourites and new surprises; it's all there. The site launches on November 2nd 2015 (after payday yay!) and they're celebrating by kicking off with a mega-sale (Up to 75% off across the site) for 48 hours. All you need to do is sign up with your email to receive your access password and get wishlisting!